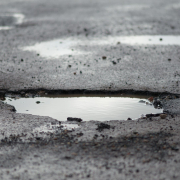 The UK’s pothole epidemic is so severe, around 40 percent of drivers said they would be willing to pay more tax to fix the problem. That’s according to a study conducted by Green Flag, with researchers speaking to 2,000 British drivers. 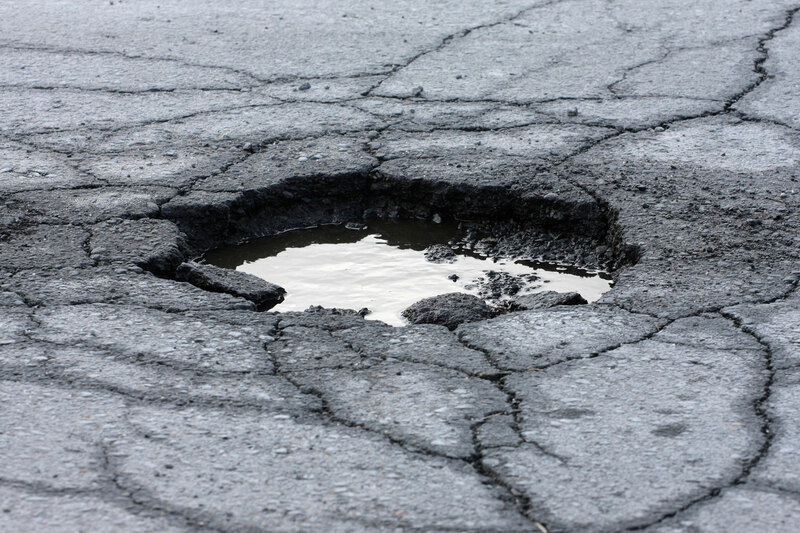 As Benjamin Franklin famously said, “nothing can be said to be certain, except death and taxes”, but we can add potholes to that list, with UK drivers encountering, on average, seven potholes per trip. 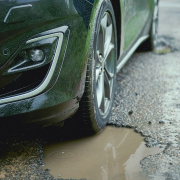 Even more shocking is the fact that 56 percent of motorists said their cars have been damaged by potholes, costing the country around £4.9 billion in repair costs. In February, the Asphalt Industry Alliance (AIA) said that £1.5 billion was required over the next 10 years simply to get the UK’s road network up to a maintainable standard. 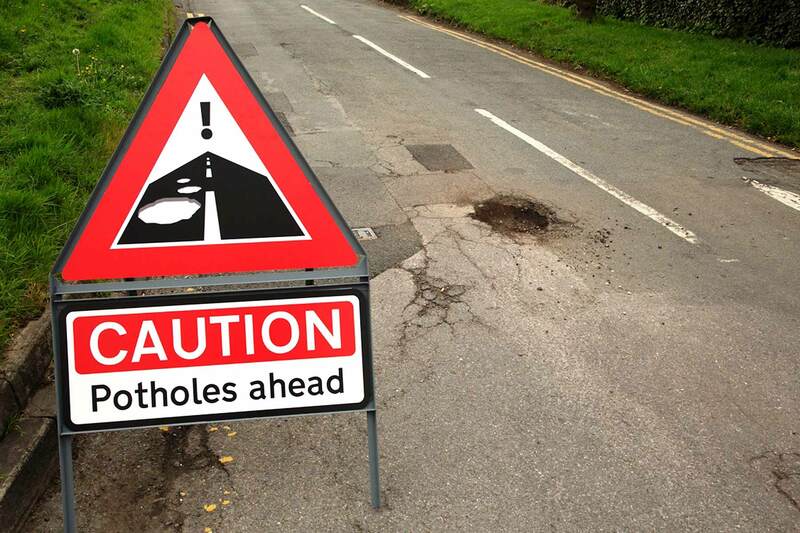 Right now, there are around one million potholes scarring Britain’s roads, and the problem is only going to get worse. Green Flag’s research would suggest that motorists have had enough. 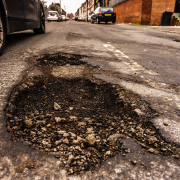 While two in five said they’d be prepared to pay a higher rate of VED if the revenue was spent on repairing potholes, around a quarter said they’d be willing to add up to five miles to their journey to avoid driving on a pock-marked road. 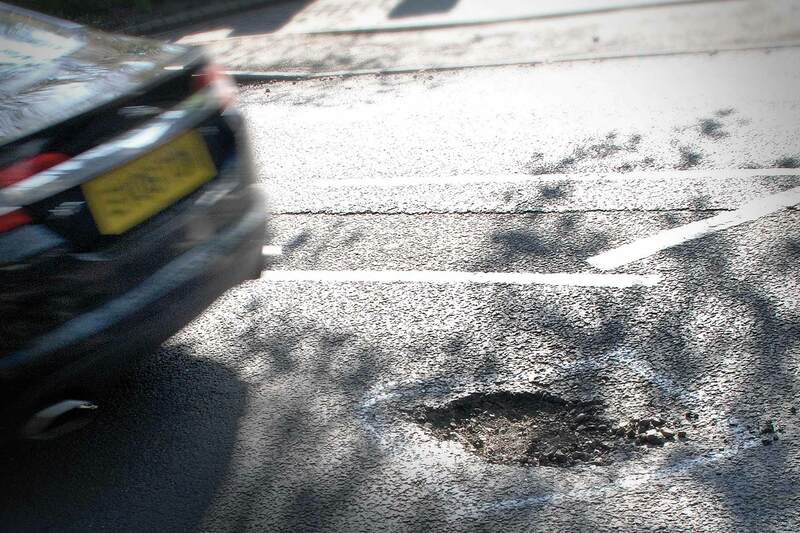 Simon Henrick at Green Flag said: “The problem of potholes on UK roads means there is an increased risk of car damage. With this in mind, it is important to stay safe when driving and to regularly check your vehicle and tyres for damage. 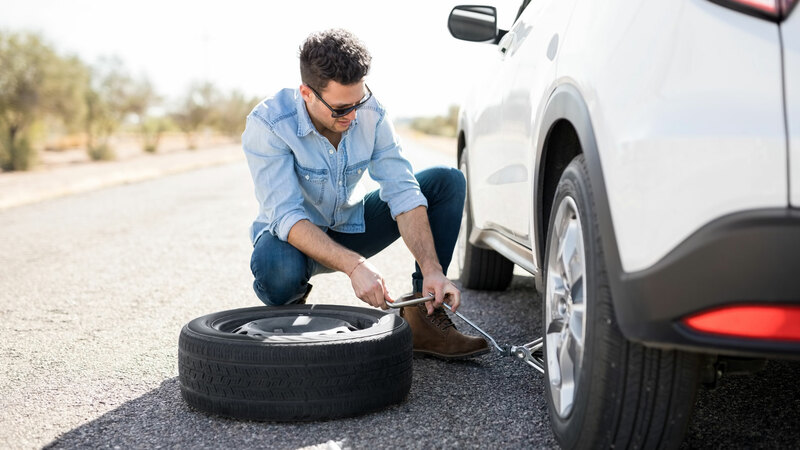 It’s rather worrying that just half of the motorists surveyed said they know how to change a tyre – although with so many cars leaving the showroom without a spare wheel, perhaps we shouldn’t be surprised. 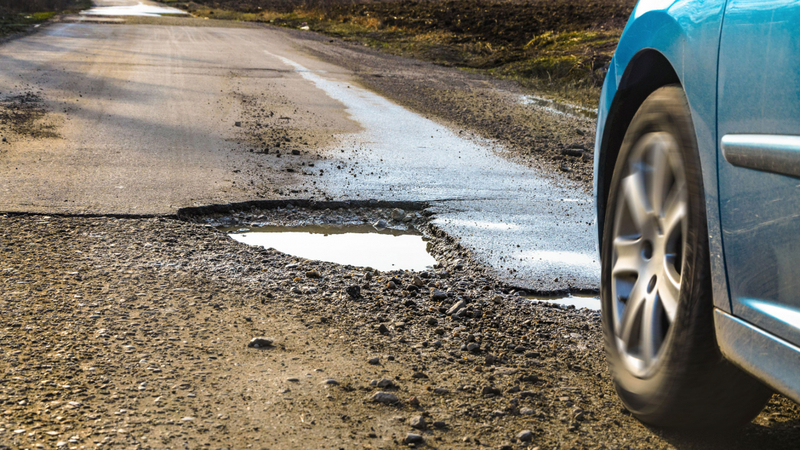 Just one in three motorists said they’d feel comfortable checking tyres for signs of damage. To help the 49 percent of drivers who can’t change a wheel, Green Flag has put together the following guide. Find a safe place to stop: as soon as you notice you have a flat tyre, find a safe place to stop off the road on a stable, flat surface. If you’re on a motorway, move to the hard shoulder and wait for assistance as it’s too dangerous to change a tyre there. 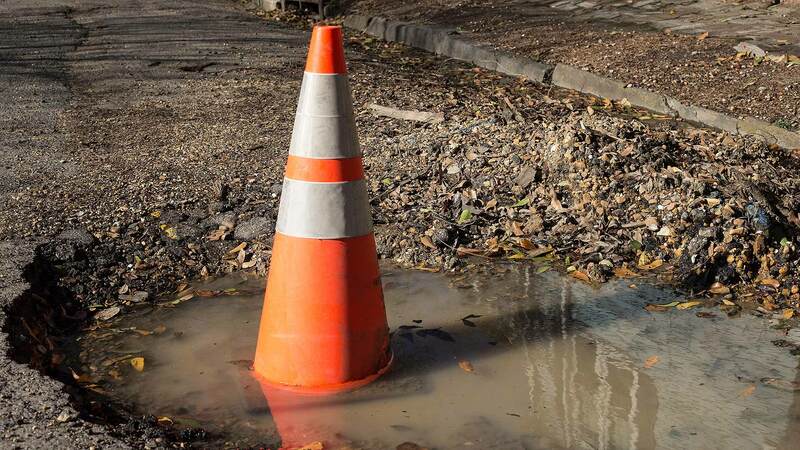 Safety first: put on a high visibility vest and place a reflective hazard warning triangle plenty of distance behind your car to alert oncoming traffic. Prepare for the job: locate the spare wheel, the jack, wheel brace and locking wheel nut key. 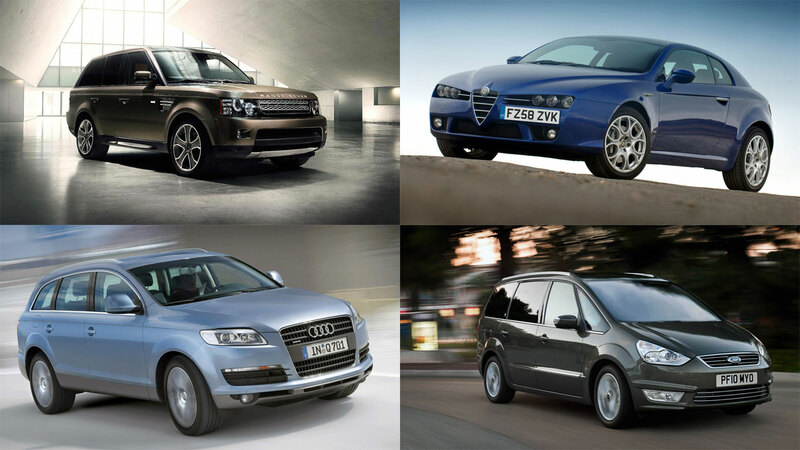 All should be either under the boot floor, under the car or in some SUVs on the back door. No spare? If you can’t find a spare wheel, your car may instead be equipped with mousse that can be squirted into the tyre through the valve. This is only a temporary solution to get you home and you should get the tyre changed as soon as possible. Prepare the wheel: to remove the punctured wheel and tyre, loosen the wheel nuts with the wheel wrench, but don’t remove them yet. If you can’t see the wheel nuts, you may have to prise off a cover first. If your car has alloy wheels, one of the nuts is likely to be locking and there will be a key that fits the wheel brace to undo this. Position the car: check the handbrake is firmly on and put the car into first gear. Find the jacking point by looking in your car’s manual, and use the jack to raise the car so that the wheel with the punctured tyre is off the ground. Remove the wheel: now fully remove the wheel nuts and take off the wheel. If the wheel won’t budge, call your breakdown provider: pushing and pulling it could bring the car off the jack. Add the spare wheel: lift the spare wheel onto the hub, line up the holes and screw in the nuts until they’re finger tight. Once it’s secure, lower the jack and use the wrench to tighten the wheel nuts fully. To remember: check them all twice to be sure none is loose. Remember if your car has a space saver spare wheel, your top speed and the number of miles you cover is limited.